The eerie noise heard by people from different parts of the world since 2011 has now heard again in Slovakia but this time the strange sound is quite different then all recorded sounds in recent years. 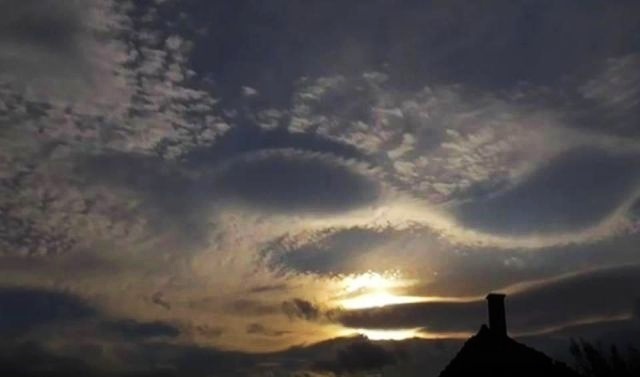 Whether it comes to aliens, changes in the earth’s core, Chemtrails, HAARP or other weather modification technology, with the latest strange sound recorded in Slovakia on October 15, 2016 again people wonder what could be the meaning of these noises. In a previous article we wrote that it is quite possible that the sound is a result of a process in the inner core of the earth as well as it has to do with the magnetic north pole moving towards the equator. Although some people believe global cataclysm will occur when earth's magnetic poles reverse triggering species extinctions, it has happened several times before so is not likely that a pole reverse will have an impact on global populations. The strange sound could be a signal from aliens who are trying to warn us for an impending global catastrophe which can affect the human evolution, whether triggered by the mysterious processes in the mantle of the earth or maybe due to a devastating world war? Anyway, till now nobody has an explanation for the eerie sounds but it is clear that something is not right. It's not the earth because it's coming from the sky, sound vibrations travel through the air, it's source though is coming from above. Satan in the bible is said to be a roaring lion who seeks to destroy. Other thought is a spiritual type of beast. The Bible says the devil is like a roaring lion seeking to destroy. The sound is coming from above not the earth. I believed it for a minute till I heard the static and the tape shut off. Listen with headphones it's a hoax! No witness names, anonymous videos are usually hoaxes.